Who Will Cate Blanchett's 'Thor 3' Character Be If She Nabs A Role In The Upcoming Film? The Thor movies, which already feature the likes of Anthony Hopkins, Tom Hiddleston, Natalie Portman, Idris Elba, and of course Chris Hemsworth, have secured another great actor: Cate Blanchett could reportedly join Thor: Ragnarok, the third movie in the franchise. The Hollywood Reporter confirmed that the Carol actress is in final negotiations to appear in Thor 3 . They also report sources saying that Marvel has been in search of a "badass female." Well, Blanchett certainly fits the bill. 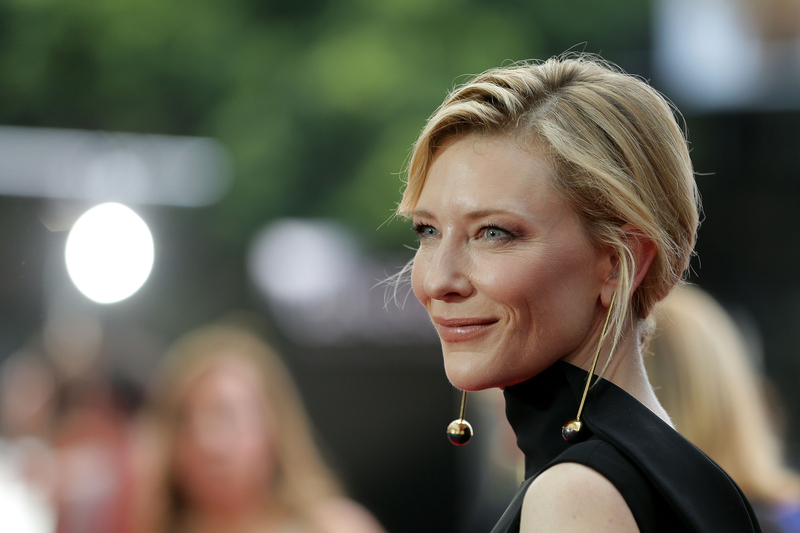 Little is as of yet known about Ragnarok, nor about what role Blanchett will play. One thing we do know is that Mark Ruffalo's Hulk will appear in the movie, and it will be directed by Taika Waititi, an indie director from New Zealand who is new to the Marvel movies. The last film in which Thor chronologically appeared was Avengers: Age Of Ultron, at the end of which Thor returned to his planet Asgard to learn about mysterious dark forces. This movie will presumably involve more of Asgard than the previous films, which provides some hints about what characters from the Thor comics might make their first appearance in this film. Fans have been speculating about what role Blanchett might be playing, and here are some likely contenders. Karnilla is a goddess from Asgard who is gifted with strong magical powers. In the comics she occasionally fights on Thor's and Asgard's side, but she's more often an antagonist. She has an evil queen vibe to her that Blanchett could certainly pull off, and it has been rumored that Ragnarok will introduce some female superheroes. Brunnhilde the Valkyrie is the mysterious leader of the Valkyrie, a group of goddesses who choose which mortal warriors are worthy of moving on to eternity in Asgard. Out of these options, she looks the most like Blanchett, and it has been rumored that the Valkyrie will soon appear in the Thor movies. Amora is one of the most powerful wielders of magic in Asgard, and she is a frequent antagonist to Thor in the comics. She has also been Thor's lover, and a Hemsworth/Blanchett pairing would be excellent to see. She also has an encounter with the Hulk, which aligns with his inclusion in Ragnarok, and Tom Hiddleston himself has expressed his support of including her character in the movies. Hela is the Asgardian goddess of death, and she's a frequent foe of Thor's. I can definitely see Blanchett as playing a goddess of death, especially if you remember her evil turn in The Fellowship of The Ring . She's certainly a badass lady. Blanchett as Carol Danvers AKA Captain Marvel is an unlikely long shot, but Marvel is soon coming out with a Captain Marvel movie, and might potentially roll her out before her solo film. While Captain Marvel and Thor don't face off in the comics, and it seems likely that Marvel will cast a younger woman as Danvers. Whoever Blanchett plays, and I'm hoping it's a villain. It looks like she's going to be in her element, though it's admittedly hard to imagine a role that she hasn't fit right into.